2 full years of delivery systems surety coverage against defects in electrical wiring, plumbing lines and ductwork. With the purchase of a New Legacy built home, you will receive a copy of the expressed written warranty contract explaining what is covered. The warranty is fully transferable, which increases the resale value of your home. ELAN® delivers smart home control and automation personalized for you – always intuitive and responsive to the way you live. ELAN integrates seamlessly with top security systems, giving you complete peace of mind – wherever you are. Answer the front door from the backyard or accept a delivery while still at the office. ELAN lets you see, hear, and respond to visitors – whether you’re on the couch, in the car, or out of the country. Dim the lights, warm up the room, and turn on your music – even before you arrive. ELAN intuitively creates perfect moments by applying your preset preferences to an infinite selection of media. It’s your castle, and now you can keep it perfectly comfortable with a single tap. Remotely control your thermostat, lighting, and shades or allow ELAN to cater to your preferences, maintaining the perfect level of comfort while you’re home – and conserving energy when you’re not. Fisher & Paykel has been designing products since 1934. Our design heritage is founded on a pioneering spirit and a culture of curiosity that has challenged conventional appliance design to consistently deliver products tailored to human needs. Products like the DishDrawer™ Dishwasher and CoolDrawer™ Multi-temperature Drawer have not only pioneered new compact technologies but have changed appliance design forever. It is what is on the inside – our SmartDrive™ motors and ActiveSmart™ Foodcare refrigeration technology that really differentiates us at a company of creativity. Buying a new home is an exciting process. From choosing the right finishes and fabrics to selecting the right colors and furniture, it’s important to fill your home with all the right things – including comfort. With so many decisions to make, choosing the right insulation to protect you, your family and your home from varying temperature extremes and discomfort will make all the difference. With Icynene spray foam insulation inside, you can turn your house into a home. More than ever before, new homes are being built with spray foam insulation included in the home. Investing in Icynene spray foam insulation is an investment that will pay dividends over the long-term. From its performance advantages through to its positive impact on your monthly household budget, Icynene spray foam insulation is a premium product that pays for itself quickly. 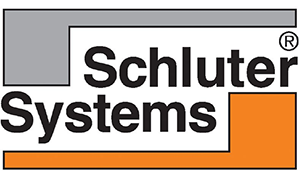 Schluter ® -KERDI is a pliable sheet-applied waterproofing membrane and vapor-retarder with limited crack-bridging capabilities. KERDI features a modified polyethylene (PEVA) core with non-woven polypropylene on both sides to anchor the membrane in the thin-set mortar. KERDI was developed as a waterproofing membrane to be used in conjunction with ceramic and stone tile coverings. Tiles can be installed directly on KERDI using the thin-bed method. Other trowel-applied covering materials, such as plaster, can be used. KERDI has been evaluated according to the “Standard Method for the Testing and Evaluation of Volatile Organic Chemical Emissions from Indoor Sources Using Environmental Chambers, Version 1.1” for California Specification 01350 and found to comply with the VOC requirements. California Specification 01350 is referenced by various green building standards and rating systems.